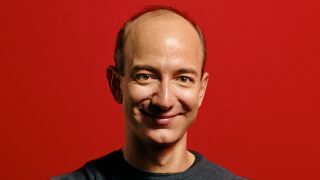 Here's your daily dose of random: Jeff Bezos, CEO of Amazon, has purchased The Washington Post. The $250 million (about £162m, AU$280m) cash sale won't affect his "day job," the etailer founder wrote in a letter to Post employees. We followed up with Amazon to check on any leadership changes that may occur down the road, but were referred to this section of Bezos' note. Bezos, content in "the other Washington," will become the sole owner of the venerable publication, taking over for Graham family, its owner for decades. Seattle-based Amazon has no part in the purchase, which also includes a handful of other properties. Bezos' missive and a Post article on the sale touched on the changing media landscape, one that's shifted from print to digital at breakneck speed. The billionaire, CEO and now newspaperman wrote that there will be changes at the Post in the coming years. He noted there's no map to navigate the publication's future, though he said invention and experimentation are a must. Ironically - or appropriately - enough, Bezos last year said printed newspapers will be obsolete in 20 years, and his company is famous for its Kindle line of ereaders and tablets. Bezos is known for an against-the-grain streak, even funding a deep sea expedition to hunt for Apollo 11's engines. Will the marriage of Amazon's brain to the Post's brawn bring about a media industry sea change? We have 19 years and counting to find out. Read all about the three new Kindles rumored for release later this year.